This poem written with my baby sister, Leah. Driving down back roads today enjoying each other’s company. She thinks I’m on WordPress too much, so in order to feel included she insisted on writing a Haiku with me. I think the poem turned out well. The picture was all her doing. She thinks she’s funny! Maybe she is…of course she is. She gets her humor from me. Making memories, my friends. Hugs!! 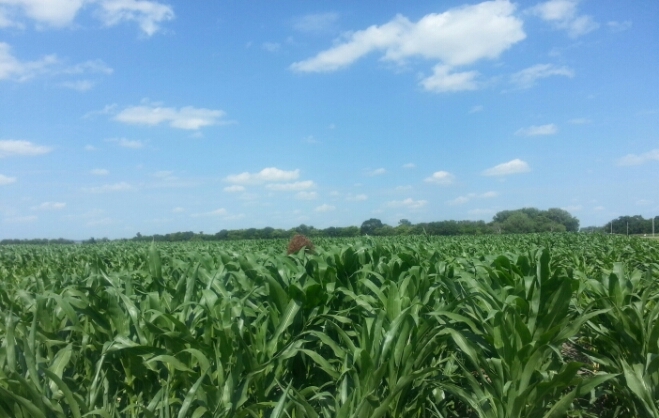 This entry was posted in Recent Posts and tagged Audrey Dawn, Back Roads, Corn Fields, Haiku, Home, Nature, Nebraska, Oldest Daughter and Red Headed Sister, Photography, Poem, Poetry, Red Hair, Redheads, Sisters, Writing with my Baby Sister. Bookmark the permalink. Great one, making memories is what it is all about, especially with family… Great photo too, perhaps your best 🙂 !!!! Hey!!! I think you just complimented my baby sister, Leah, for her ingenious photo vision. T’isn’t mine at all…LOL. Baby sisters eat this sort of thing up. I’ll never hear the end of it. Haha! 😉 Thank you…. Pfft!! You’re just buttering her up, Mister. Oh I possess plenty of talent, my friend. 😉 I’m a redhead and flirty feisty…We’re way cool. Lil’Sis is blonde and flirty…sounds boring. 😉 Haha! Ha, ha ~ without a doubt you two are good for each other… Will have to leave judgement as to talent until I see more 🙂 Enjoy the weekend. Haha! *giggle* Judgement…such a harsh word. 😉 You, too. Hmm, the last line is my favorite. And the pic is awesome. Tell her so! You’re probably both funny. Thank you…I wrote that line! You can find me anywhere. I can’t believe you! How did you figure that out? Leah says it made the poem and she’s jealous of that line. I will tell her! She is a visionary and will now take all the credit. You should have seen us in the cornfield. She’s shouting orders for me to walk in further. I’m worried about seeing a snake. She yells for me to go further…a mess. *giggle* We are funny, you know. You should have seen us doing fireworks. I don’t like the shock of it all and she’s obsessed with lighting them. The banter is out of control. You’d love it. *laughs* I’m glad to hear it! I’ve ruined our mind. That’s a good thing. *laughing lots and lots* I would be highly entertained I’m sure! You wrote that? Awesome! I do know how to find you, and it’s a wonder. I bet Leah has a katana. It’s good to get ruined. We ruined Charlie. Charlie isn’t the same is he? Well, not really..*laughing* But she’s a tough cookie to crack. You tell her to be sweet! No competition for the professor, you see. Whybis that good. Our first pet has been forgotten about, Duketh. Oh no…he’s become a warrior, Audith! Well, that’s a good thing. She cares! Priceless, you know. None at all! He has? How’d I miss that, Duketh? Harsh treatment does the trick, sometimes, you know. You’ll never spend too much time on WordPress again, caught in a Corn Maze, Red! Great haiku, Leah. You can have Aud 100 percent this vacation, as you should, I totally am on your side. Then she’s back to us. 🙂 Happy Fourth! I’m lost, Chum. 🙂 Leah is very proud of herself, you know. Teaming up with her? Man… Happy 4th of July! Yes. Truly. 🙂 Happy 4th of July, Gus. No, you’re not on here too much. Keep writing. Thank you for that, Meredith. 🙂 I shall. I’m very close to familiar territory, Sir.